It's troubling to see the gyrations being performed by the US government as it convenes a serious-sounding gathering of policy makers and others on a subject for which they have chosen a strikingly context-free title. On Thursday, February 19, 2015, the Department of State will host Ministers and foreign leaders, senior officials from the UN and regional organizations, and private and civil society representatives to discuss a broad range of challenges facing nations working to prevent and counter violent extremism. It happens that the State Department and we have some shared history on terror and semantic distinctions. It's something we have mentioned here quite a few times (here's a summary with links). A persistent reporter tackled the State Department's deputy spokesperson Marie Harf [earlier today] on whether the murderers being bused tonight into the waiting arms of the two Palestinian Arab regimes are (a) freedom fighters or (b) terrorists. Persistent reporter: Do you have any thoughts or position on whether these people who are going to be released [today] are political prisoners or are they terrorists? 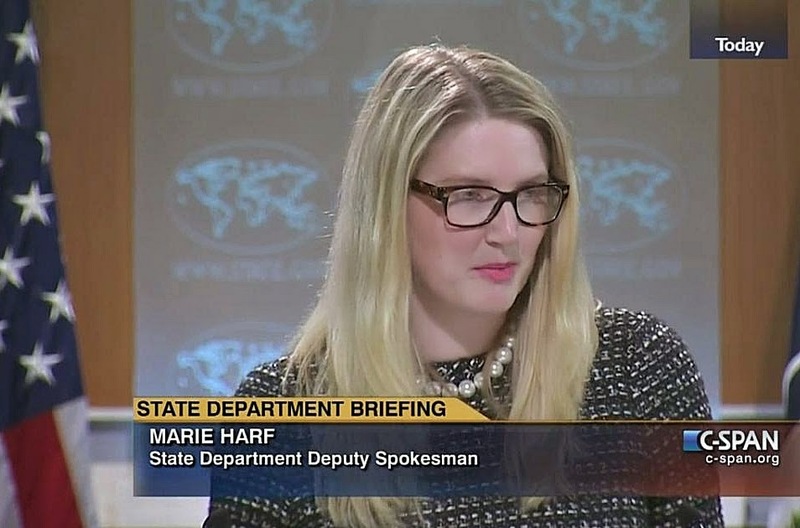 State Department spokeswoman Marie Harf: I do not have a position on that. Persistent reporter: Do you object to the Palestinians referring to them as political prisoners? Persistent reporter: ...Most of these people [in fact all of them - TOW] have been convicted of murder, of killing people. And the Israelis are very clear on the fact that they think that these people are terrorists, even though they’re releasing them. The Palestinians say that they are political prisoners and... have instructed their ambassadors, all their representatives around the world to refer to them as freedom fighters, political prisoners. And I want to know, if you don’t have a position... if there isn’t anything that you call them, do you object to the Palestinians referring to them as freedom fighters? State Department spokeswoman Marie Harf: The answer is, I don’t know and I will endeavor to get an answer for you on that as well. As we said then and believe now, something seriously wrong is going on here. This was a paradigm, a teaching moment, even if few people watching realized it. The Obama Administration State Department's spokesperson was being asked to react to the release of Palestinian Arab terrorists, all of them convicted of murder, all of them having spent many years in prison. 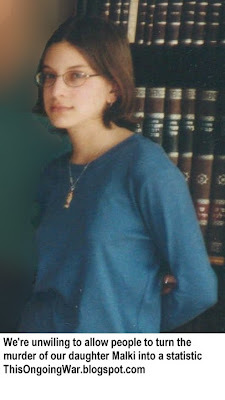 More specifically, she was also being asked to react to a letter sent to Secretary Kerry by a group of Israeli families whose children had been murdered by Palestinian Arab terrorists and who were astounded that the United States was pressuring Israel to free the homicidal convicts, not one of whom had served out a complete sentence. They are almost certainly still "reviewing" it. We barraged them with emails and Tweets in the hours and months that followed but, against all the laws of physics, politics and simple good sense, no one from State ever did answer. 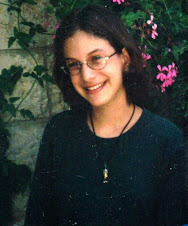 It's possible we erred in asking Ms Harf and her boss whether the US sees those convicted and still unrepentant Palestinian Arab killers of unarmed Jews as terrorists. Maybe we should have let them say violent extremists. That might have pushed the State Department people into conceding that they have no idea what those words mean. Nor do most people, which is probably why that's how they chose to characterize this week's Washington gathering.